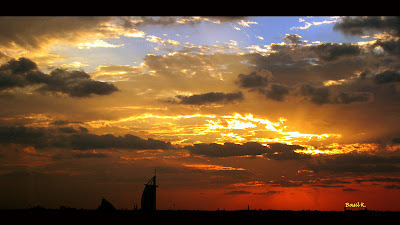 PS: This shot is taken on the 2nd interchange on Sheikh Zayed Road. Congratulations, but I cannot believe you or the third place person didn't win. Or the blowing sands runner up. 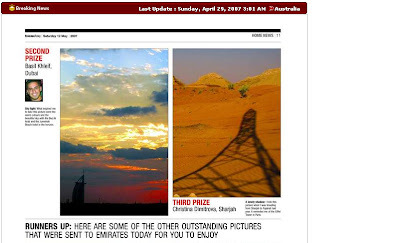 The winning photo was - at least in the way it reproduced in ET, perhaps the original was earthshatteringly better - amazingly meh for me. It didn't even say very much about Dubai. Even if the silhouettes had been dishdashes or construction workers it might have helped. I'm so surprised it won.